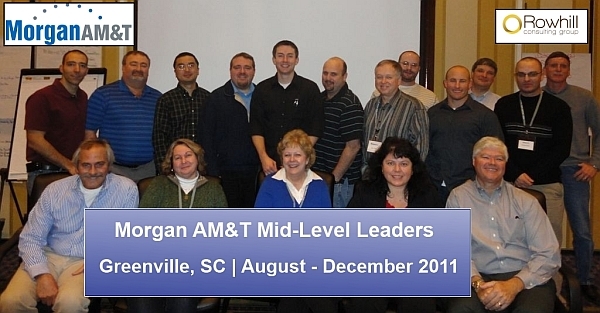 Greenville, SC – Morgan AM&T’s Mid-Level Leadership Program finished after four months of leadership development taking place through residential teaching and distance coaching. The MLLP program was custom tailored to fit the global needs of Morgan AM&T, aligning with their corporate culture. The program featured an industry-specific business simulation to challenge the participants with running their company in a controlled environment. The faculty and staff of Rowhill Consulting Group congratulate the Morgan Leaders on their achievement throughout the course of the program.